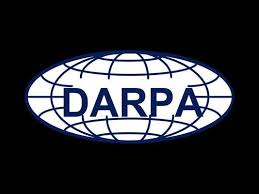 DARPA along with many other technologically advanced government run companies are developing disturbing psychotropic and neurological weaponry that can manipulate the minds of millions. These highly advanced technologies include mind-reading binoculars, mind-controlling helmets, satellite mind reading, chip implants, remote control brain manipulation, and more. 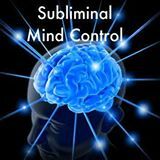 The topic of mind control is elaborate, multifaceted, and multi layered. For the everyday reader, it can easily become mind-numbing, but avoiding the subject is the most foolish thing you could possibly do since your only chance of surviving this menacing enslavement agenda, which today threatens virtually all of humanity, is to understand how it functions and take steps to education yourself. I highly suggest you watch the video below in its entirety, as it is a real eye-opener for what’s coming. Project Artichoke was a CIA project that research the interrogation methods that arose from Project BlueBird in 1951. It was run by the CIA’s Office of Scientific Intelligence. This project studied hypnosis, forced morphine addiction, and the use of other chemicals to produce amnesia and other vulnerable states in subjects. Artichoke was a mind control program. Moreover, the scope of the project was outlined in a memo dated January 1952 that stated, “Can we get control of an individual to the point where he will do our bidding against his will and even against fundamental laws of nature, such as self-preservation?” Project Artichoke eventually morphed into MKULTRA in a memorandum by Richard Helms to CIA director Allen Welsh Dulles on April 13, 1953. The Monarch Program is a “sub” program on MKULTRA. It is a form of mind control which creates a mind control slave by utilizing the human brain’s trauma response of disassociation to create a form of Multiple Personality Disorder (MPD) wherein various triggers can cause the slave personality to surface and respond to commands given by the master. BETA: Referred to as “sexual” programming. This programming eliminates all learned moral convictions and stimulates the primitive sexual instinct, devoid of inhibitions. “Cat” alters may come out at this level. DELTA: This is known as “killer” programming, originally developed for training special agents or elite soldiers (i.e. Delta Force, First Earth Battalion, Mossad, etc.) in covert operations. Optimal adrenal output and controlled aggression is evident. Subjects are devoid of fear; very systematic in carrying out their assignment. Self-destruct or suicide instructions are layered in at this level. THETA: Considered to the “psychic” programming. Bloodliners (those coming from multi-generational Satanic families) were determined to exhibit a greater propensity for having telepathic abilities than did non-bloodliners. Due to its evident limitations, however, various forms of electronic mind control systems were developed and introduced, namely, bio-medical human telemetry devices (brain implants), directed-energy lasers using microwaves and/or electromagnetics. It is reported these are used in conjunction with highly-advanced computers and sophisticated satellite tracking systems. OMEGA: A “self-destruct” form of programming, also known as “Code Green.” The corresponding behaviors include suicidal tendencies and/or self-mutilation. This program is generally activated when the victim/survivor begins therapy or interrogation and too much memory is being recovered. Programmed individuals include: lone gun men, serial killers, celebrities, journalist, news investigators, military personal, lawmen, and government officials. How can I prove electronic harassment in the court of law. By the use of microwave hearing weapons. Looking for names of biochemical that are airborne that out there now they are useing on ti it f…. the nerves up go right to brian too manipolation you. My name is marisa i am victim of torture psychotronic in Brazil i need help! I’m also a victim of some type of either RFID, implant, or microwave/Bluetooth low frequency tech. I’m only aware of the remote manipulation, thought interaction harassment/ profiling. Possible in extreme omega/ theta military interaction due to relation to a person whom has a degenerative mind who was in army intelligence. Any assistance in information in relieving me of this burden will be greatly appreciated. Always allowing for simple junky stunts to methcapades and the tweakers that thrive on the thrill of fuckery douchebaggery and being a creepy person. Thank you in advance to the empathetic person who can relate.